Holiday season is here and we could not be more excited about it! 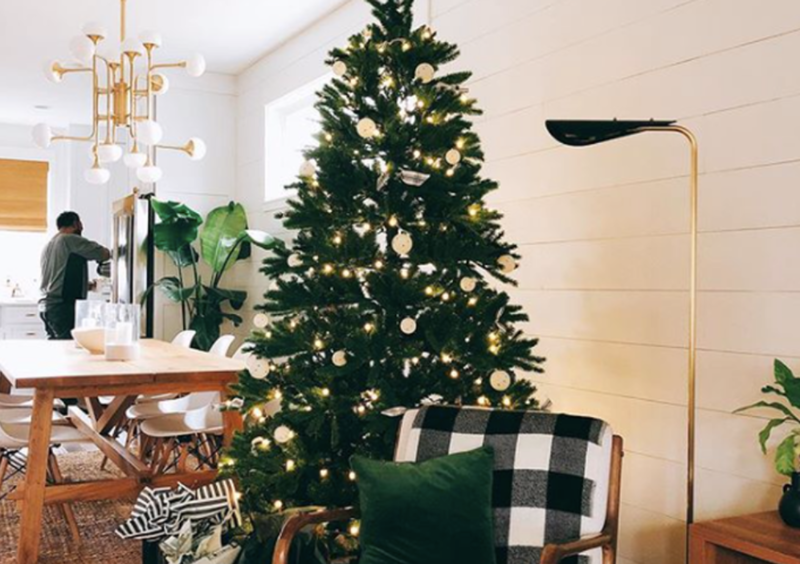 We’ve been loving all of the gorgeous holiday decor photos we’ve been seeing on Instagram, and it’s definitely got us feeling festive. 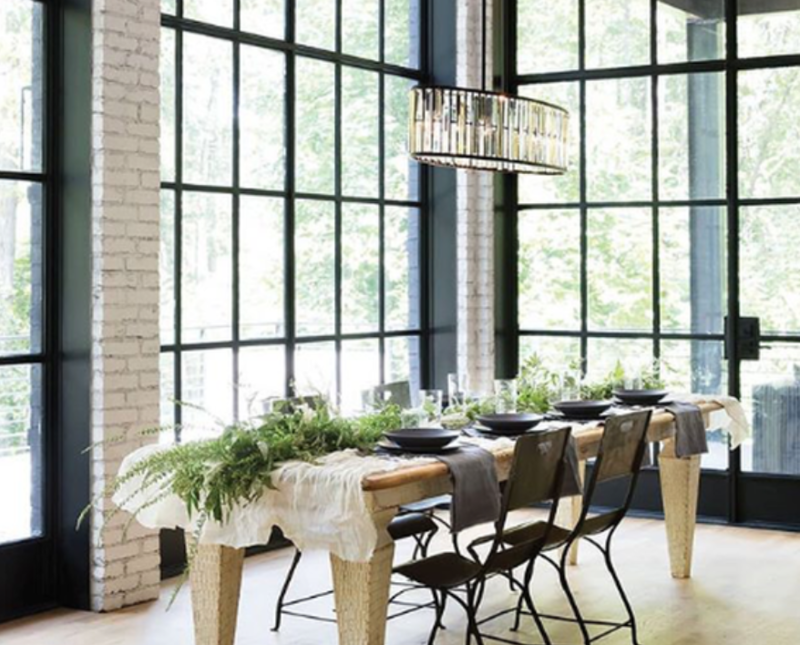 As we’ve written about before, lighting plays such a huge part in setting the right tone and feel of a space, and this is never more apparent than during the holiday season! To help you nail the right look, we’ve put together 5 ways to get the perfect holiday lighting. Whether you are looking for a warm cozy glow or some fun red and green lighting, the Smart Bulbs from DALS lighting has got you covered! These bulbs, which retail for only ~$30, can replace any of your standard light bulbs in your home and work with your smartphone or home assistant. You can change both the lighting temperature (go from a cool light during the day to a warm light in the evening) and the lighting colour (red, green, and everything in between!) effortlessly. (You can read more about the Smart Bulbs here). For our showroom locations, check out our where to buy page! Wall and ceiling light fixtures take a bit more effort to change, but you can instantly and easily upgrade your decor with a new table or floor lamp! 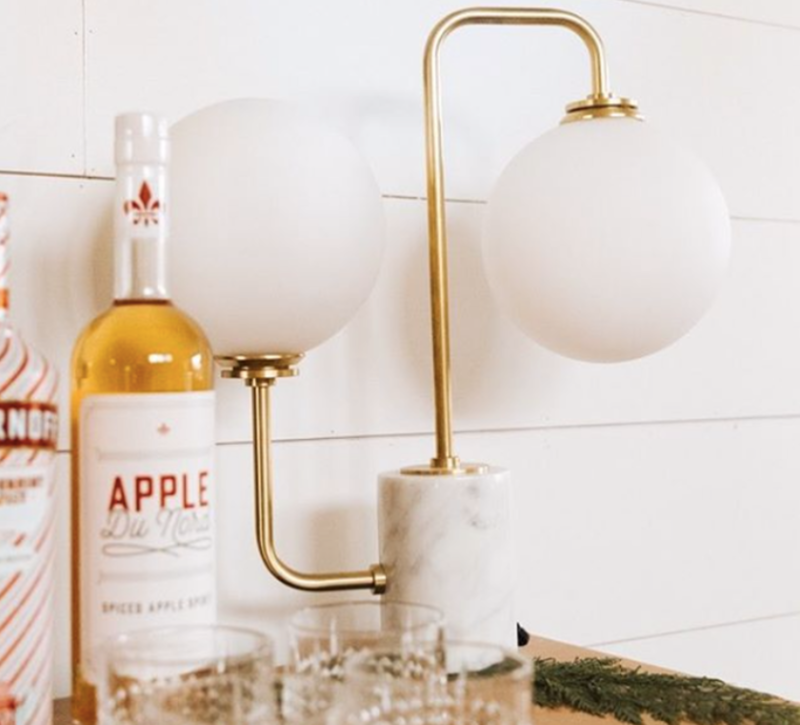 We love how Lea of Creekwood Hill styled her Mia Mitzi lamp on her festive bar cart. Just like the Smart Bulbs, DALS Tape Lighting can change both lighting temperature and colour using your smartphone or home assistant. Tape lighting is also super easy to install, and it’s one of the easiest ways to get your holiday lights up both inside and out! The tape lights are great for year round outdoor lighting (we use them as ambient lighting on our back decks), so you can install them now and enjoy them all year long. Holiday decor is all about glitz and sparkle, and an easy way to add a dose of this that you can enjoy now (and all year!) is with Legrand’s designer wall plates from their adorne collection. 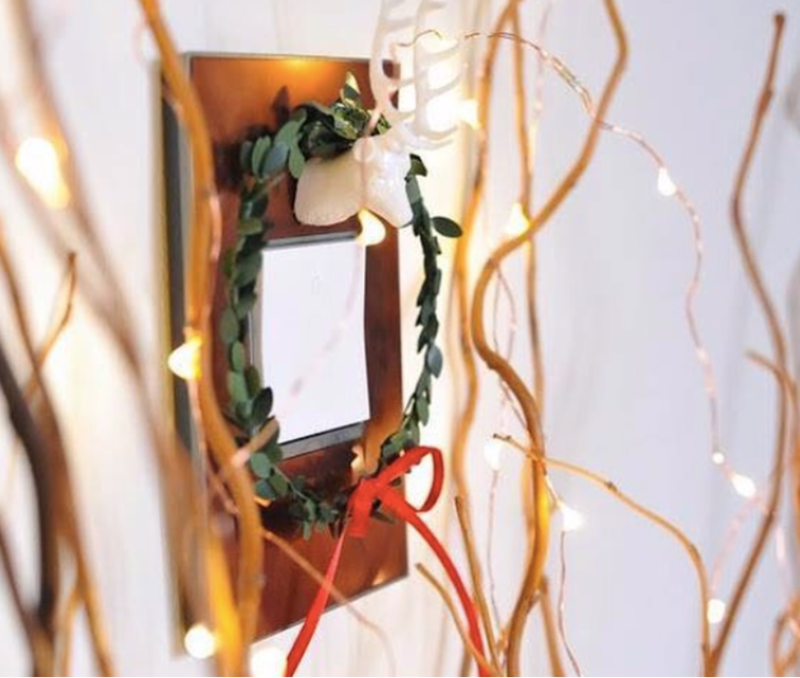 Imagine one of their brushed brass wall plates next to your tree or some cedar bows? Major holiday heart eyes!! We love how Erin Kelly decorated her adorne plate (above) for the holidays! Now, if you really want to go for it, a crystal chandelier is never more gorgeous than at the holidays. If you’ve been considering doing a light fixture upgrade, the holidays are the perfect time to show off a new light because you’re likely entertaining and decorating more than usual! The Gemma chandelier from Hinkley Lighting (pictured above) is gorgeous over a dining room table. Have questions about any of our products or where to find them? We’re here to help! Give us a call at 902.266.3899, email us at lierin@catalystsales.ca, or reach out on Instagram!